We hold expertise in this business and are involved in providing the best quality of Nickel Sulphate to our customers. These products are precisely prepared and reasonably priced. Nickel(II) sulphate, or just nickel sulphate, usually refers to the inorganic compound with the formula NiSO4(H2O)6. 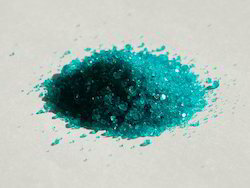 This highly soluble blue-coloured salt is a common source of the Ni2+ ion for electroplating. Approximately 40, 000 tonnes were produced in 2005. It is mainly used for electroplating of nickel. JoshiChem is Contract Manufacturer & Exporter of various Metalic Salts application for multiple industry. Nickel(II) sulphate, or just nickel sulphate, usually refers to the chemical compound with the formula NiSO4. 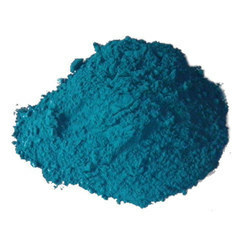 This highly soluble blue-coloured salt is a common source of the Ni2+ ion for electroplating. Our nickel sulfate is processed by utilizing the excellent quality of chemical compounds keeping in mind the set norms of market. Our given nickel sulfate is available on numerous grades on seal packed options. We have available with us Copper Sulphate which is in wide demand across various industries. On the other hand it is not soluble in ethanol. These are manufactured using state-of-the-art technology and latest machinery.